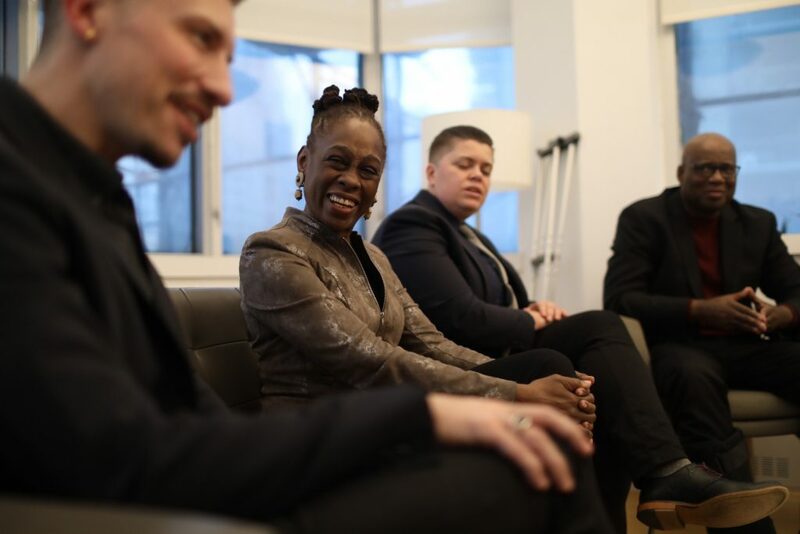 The Ackerman Institute’s Gender & Family Project is honored to partner with New York City’s First Lady Chirlane McCray and the NYC Unity Project in our mission to protect trans and gender nonconforming youth through family acceptance. Ms. McCray has spearheaded the NYC Unity Project in an effort to better serve NYC’s LGBTQ+ youth in all areas. 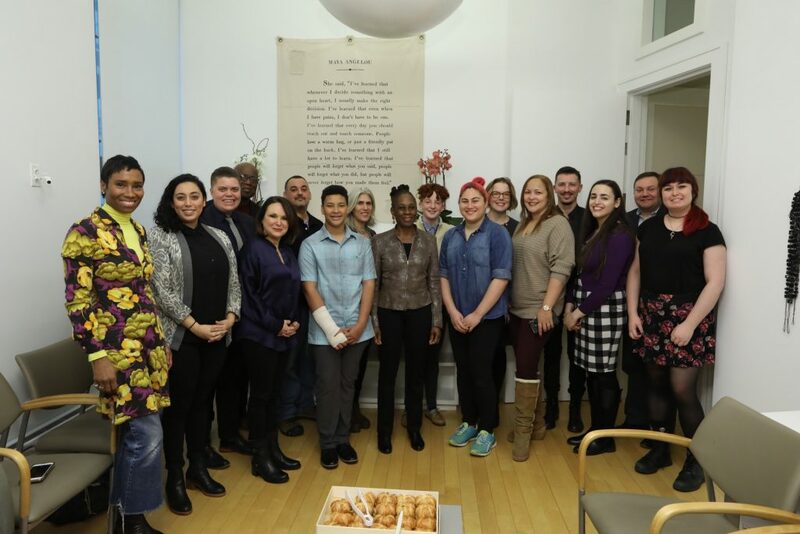 At the First Lady’s direction the NYC Unity Project has funded the first-ever post-graduate family therapy training program through the Ackerman Institute for people serving diverse youth at agencies around the city. Taught by GFP Director, Jean Malpas, this training teaches clinical best practices in family therapy techniques using GFP’s inclusive, gender-informed model as a framework. Thanks to the funding provided by the First Lady’s office, mental health professionals working at agencies throughout the five boroughs were selected to attend the training free of charge. First Lady McCray visited the Ackerman Institute on January 18th and spent time in the training with GFP staff, trainees, and Ackerman Institute President & CEO, Gisselle Acevedo. Ms. McCray later met with GFP youth and families to discuss the impact the GFP’s program has made in their lives. In addition to the NYC Unity Project Ms. McCray has created ThriveNYC, which is one of the most comprehensive mental health plans in any city. We are delighted to have her visit Ackerman, and wholeheartedly support her commitment to diverse families and mental health.